In a world of smart phones and free WiFi, it’s easy to keep up with old friends. 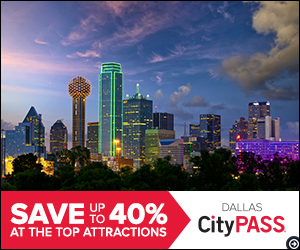 So easy, in fact, that many newcomers to large cities like Dallas never leave their comfort zones. They experience their new home as observers, but miss out on actively participating in a vibrant new community. If you’re new to Dallas, you’re already in an incredible area with thousands of opportunities to get involved and make meaningful connections. Not sure where to start? Let Dallas New in Town help! Make new friends and change lives with these 10 exciting Dallas volunteer opportunities. Build meaningful relationships with others who want to change the world, and create a beautiful new life in Dallas, TX. This big cat sanctuary and education center is a fantastic place to volunteer. Get up close with lions, tigers, and other incredible cats as you help other volunteers care for these amazing animals. Do your part to end hunger in the United States at this wonderful organization. There are opportunities for every skill set, so take a look and see how you can help. Meet great friends who really care about others at the North Texas Food Bank. Get your hands dirty with a group of like-minded people. This world-renowned organization builds homes for those in need, and they need your help! Get some home-building skills and change a life at this non-profit. There are lots of opportunities for volunteers at Children’s. Spread some joy by helping kids and families suffering from various health problems. Join a group volunteering event to make friends and bring a smile to someone’s face. Provide homeless teens with clothing at this “retail store without a cash register.” Volunteers here act as image consultants, building confidence and self-esteem in others. The boutique atmosphere and wonderful group of volunteers make this a great place to make friends. Volunteer at the largest homeless shelter in Dallas to make a real difference in someone’s life. This fantastic program provides recovery, three hot meals a day, and a safe environment for those in need. It’s a great place to volunteer and meet new people. Work with an amazing group of people as you collaborate to grant the wishes of chronically ill children. You’ll love seeing the joy on their faces! The camaraderie with other volunteers makes this a wonderful place to make new friends. Junior Achievement is the perfect volunteer opportunity for professionals. The organization develops entrepreneurship, work skills, and financial literacy in over 50,000 children each year. Work with other professionals to raise the next generation of successful business owners. Bring joy and artwork to those with limited mobility with this amazing organization. They collaborate with art museums around the world to bring a smile to the face of others. Enjoy some time with friends while caring for retired greyhounds. You’ll help these animals find the perfect home at this top-notch organization. Provide education and support for adoptive families to ensure a great opportunity for everyone. With so many great volunteer opportunities to get involved in Dallas, there really is something for everyone. It’s a wonderful way to connect with others, build relationships, and become an essential part of your new community. Whether you like working with children, adults, or animals, you already have skills and talents that will change lives in this amazing city. To learn more about Dallas volunteer opportunities, please contact us today! We are always happy to help you get dialed in to your new home.